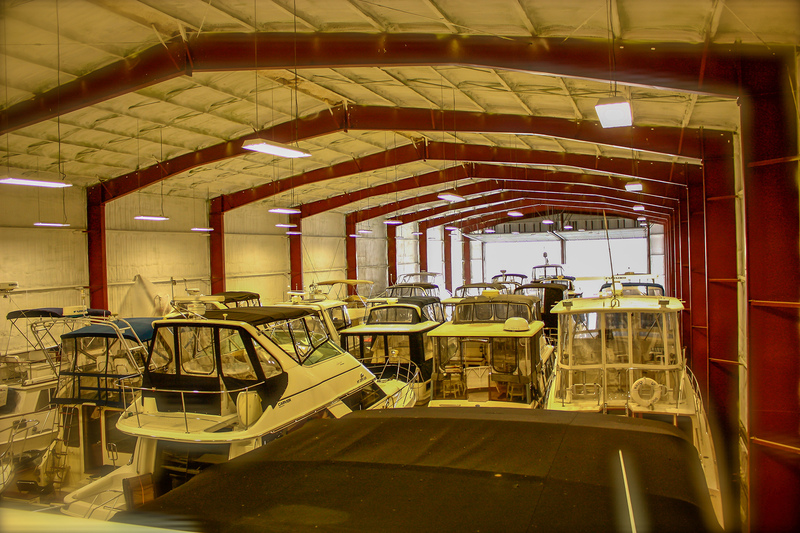 Boat storage is our forte! 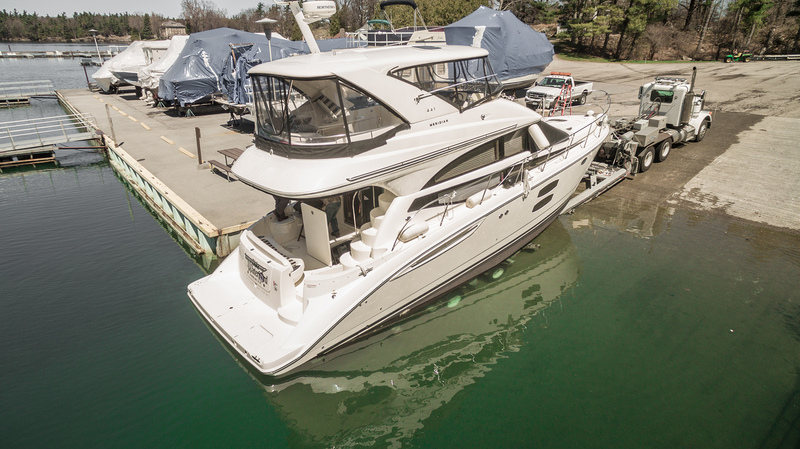 For over 35 years Horizon Marine has provided outstanding, world class service and handling of boats up to 75’ for winter storage. Our 8 state-of-the- art radiant in-floor heat, and alarm secured buildings were designed with maximum security in mind. With back up generators and temperature alarms you can rest assured your vessel is in good hands. 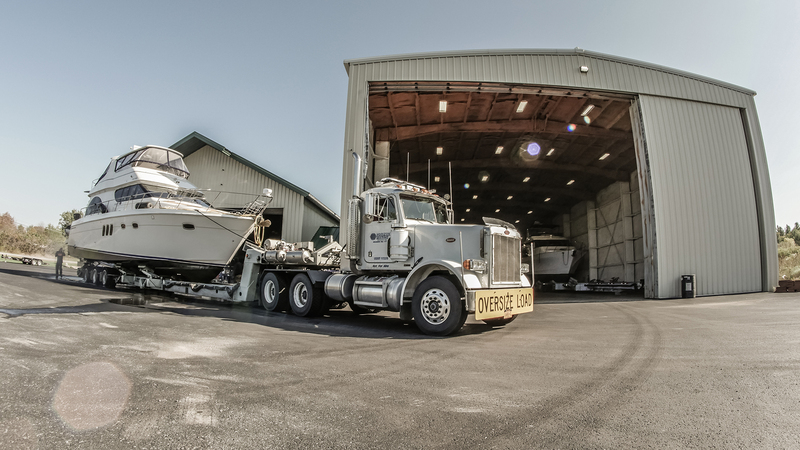 Our fleet of trucks and hydraulic air ride trailers, and the use of steel stands for blocking are the gold standard for proper care and handling of your valued vessel. 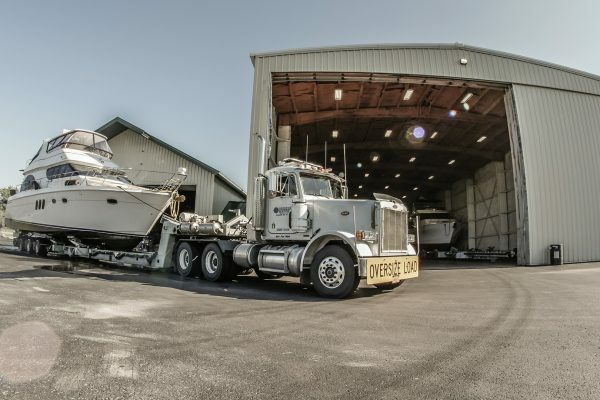 Our highly experienced service staff are second to none with over 90 years combined experience in boat hauling. Look no further for the ultimate winter storage experience! Peace of mind. 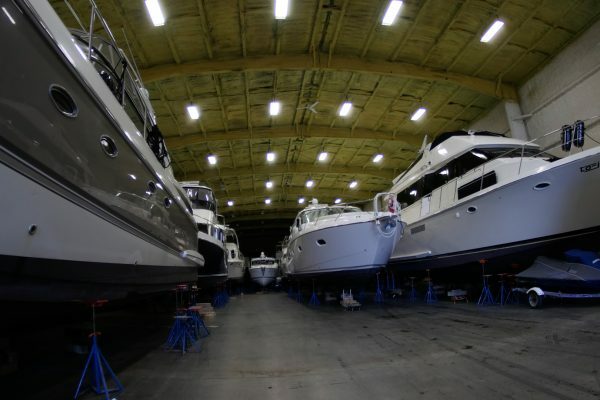 you will rest assured seeing the investment we make in secure housing of your vessel. We cut no corners when it comes to quality and professional service. Our heat system is in-floor radiant heat. Although it is the most expensive heat system to install, its benefits are great vs propane or natural gas forced air heat. Radiant heat does not create any condensation or moisture. The heat radiates out of the concrete floor and heats all objects above it. 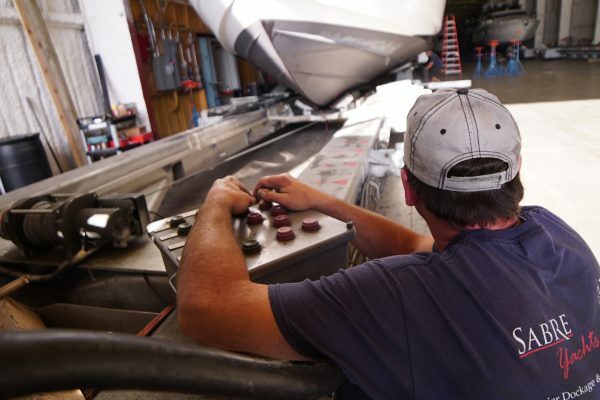 Thus your boat stays warm and helps dry out moisture in the hull and so does personnel performing year round service work! The floor has many separate manifold runs that overlap so it’s always making even heat. An oil-fired boiler heats the antifreeze that is pumped through the floor via special tubing. What about power failure? All of our buildings are connected to an auto start 10-kw diesel generator system with 1000 gallon plus fuel supply. In the event of a power failure the generator and transfer switch kick on automatically to power all buildings. All of these building s are monitored via computer and Alarm Company for security and building temperature monitoring. Located at both storage locations, Co. RT 1 and Rt 12 in buildings #1-#8. Over100,000 sq. ft of state of the art heated indoor storage. This storage is best suited for vessels 25’ and up. 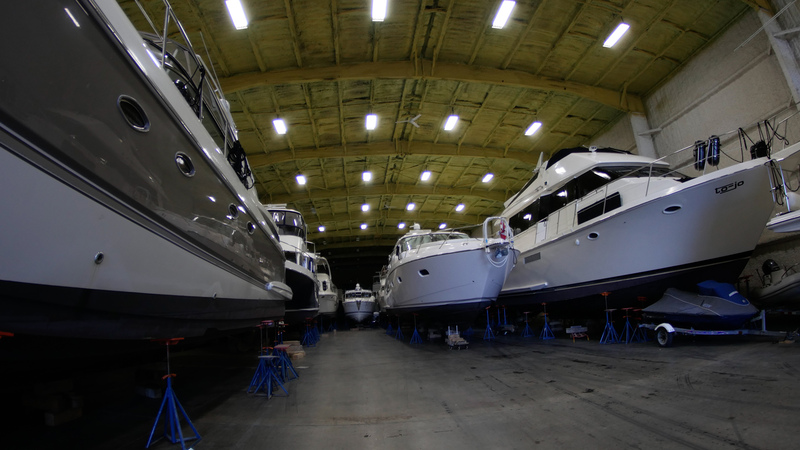 When choosing heated winter storage you are eliminating all of your vessel’s lay up procedures including engines, water system, a/c, wash down pumps, ice makers, generators, water makers, dishwashers, etc. and eliminates the removal of bedding, clothing, canvas and isinglass, electronics, cleaning supplies, etc. The economics of scale to do these process vs cold storage comes very close in price to choosing heated winter storage. Based on the simplicity and many benefits for your vessel and you, we feel this is a fantastic way to go. Note: height limitation of 28.6’ in these buildings. Located in building #1, Co. RT 1 location, half of building I is cold, is fullyenclosed and is an alarm secured building. Cold storage requires winterization and lay up of engines, outdrives, water system, a/c units, generators, etc. The check off sheet for this storage is enclosed. This storage is well suited for boats 16’-30’ that may not have all the complexities of larger vessels. This is an economical and great way to go! Note: height limitation is 15’ in this building. 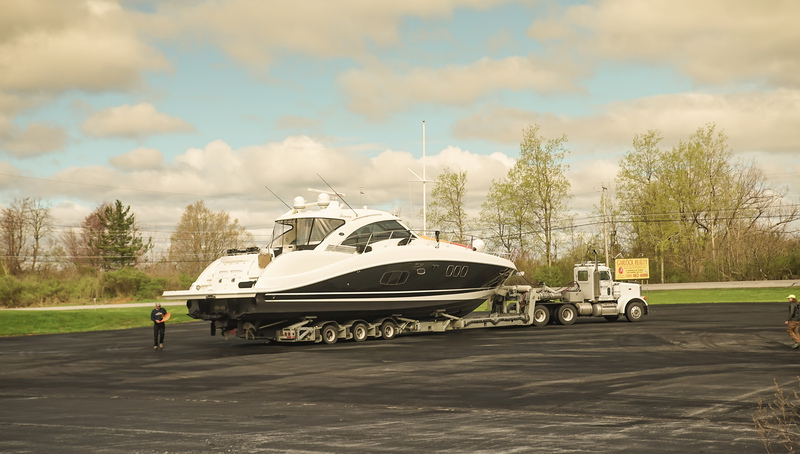 Advantage dockage program is for the customer who signs up fordockage and winter storage at the same time. This is for the current season of dockage and the upcoming season of winter storage. 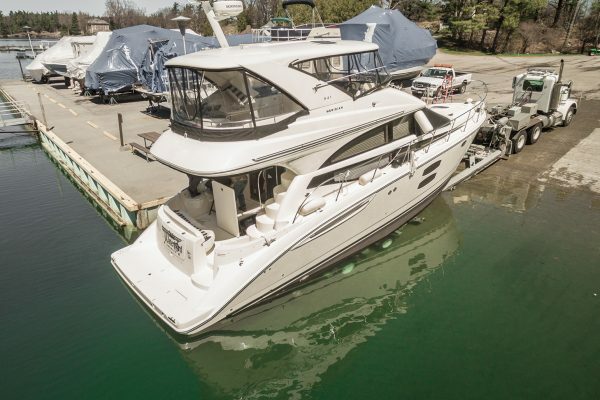 Receives a substantial discount on dockage when signing up for both dockage and winter storage at the same time. Requires a non-refundable $2000 deposit check given with the return of your signed dockage contract. Checks payable to: riverwatch yacht basin and dated january 1 of the following year (example: summer dockage in 2016 with winter storage 2016-2017 check would be dated january 1, 2016). By giving your non-refundable $2000 deposit check you are reserving your upcoming space for winter storage. 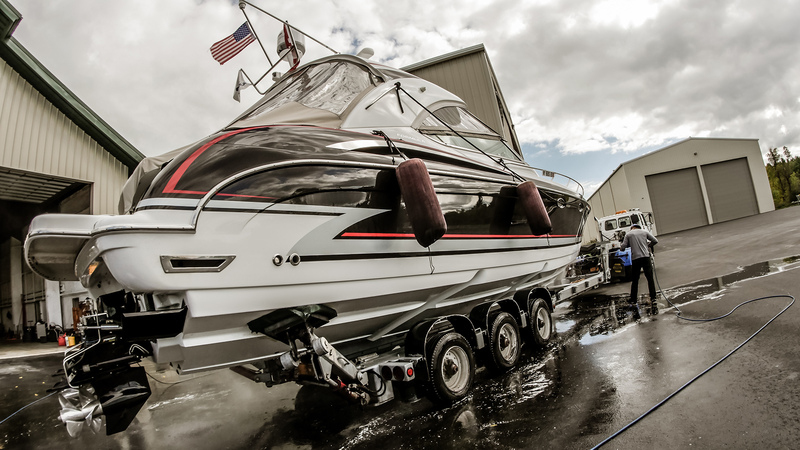 The price of winter storage is not included in your summer dockage costs. Dockage checks are payable as follows: 1/2 due april 15 , 1/2 due may 15. Secondary vessels 15’ loa and over must be in their own slip. Payments made by credit cards (mc, visa, discover) will incur a 4% service fee and 5% for amex. Canadian checks must be payable in us dollars. 1 1/2% interest per month will be added to any outstanding balance after may 15th due date. SUMMARY= Sign up for the Advantage Program by filling out this sign up sheet and returning it with your non-refundable $2000 deposit check to RIVERWATCH YACHT BASIN, INC., 22 SISSON ST. ALEXANDRIA BAY, NY 13607. Dockage payments; 1/2 due APRIL 15 and 2 nd payment due May 15. Your upcoming Winter Storage total (minus your $2000 deposit check) is due January 1ST each year. Thank you! If you would like only Summer Dockage and will not be storing your vessel with us for the winter, sign up for the Seasonal Dockage Program. Dockage payments are as follows: 1/2 due April 15 and 1/2 due May 15. Canadian checks must be payable in US FUNDS. How do you measure a boat? Your boat measurement is the overall length of the boat from tip of the pulpit back to the transom platform. 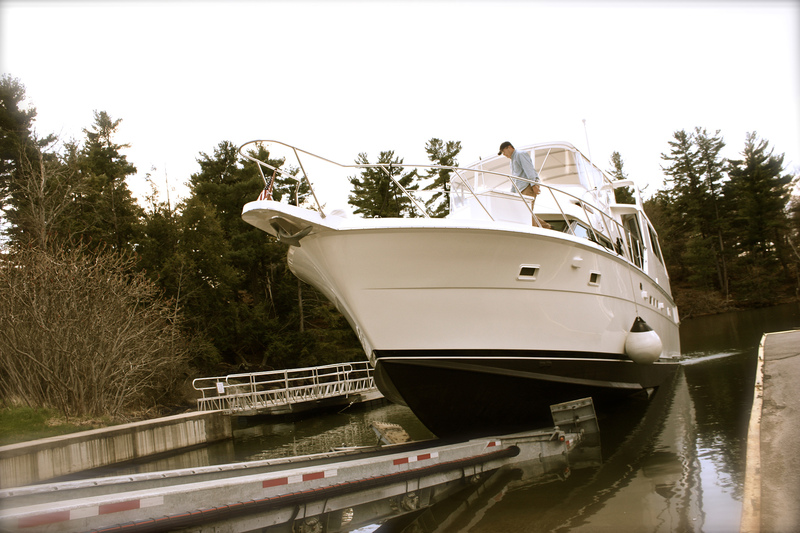 If your boat has an outboard, measure to the tip of the extended motor as it sits with the motor up. Keep in mind, if we had to build a building around the space your vessel uses, how big would you have to build the building? We need exact measurements for just this reason. 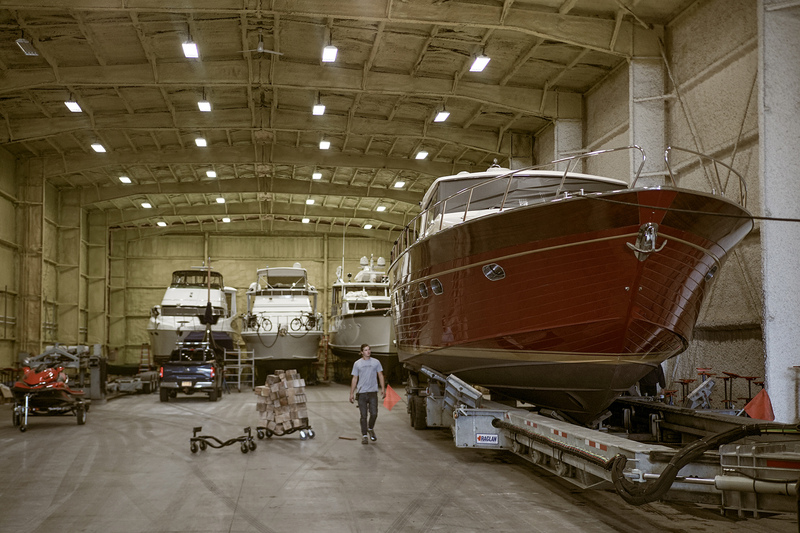 We have to be meticulous in this in order to properly access the number of boats we can fit in each building. 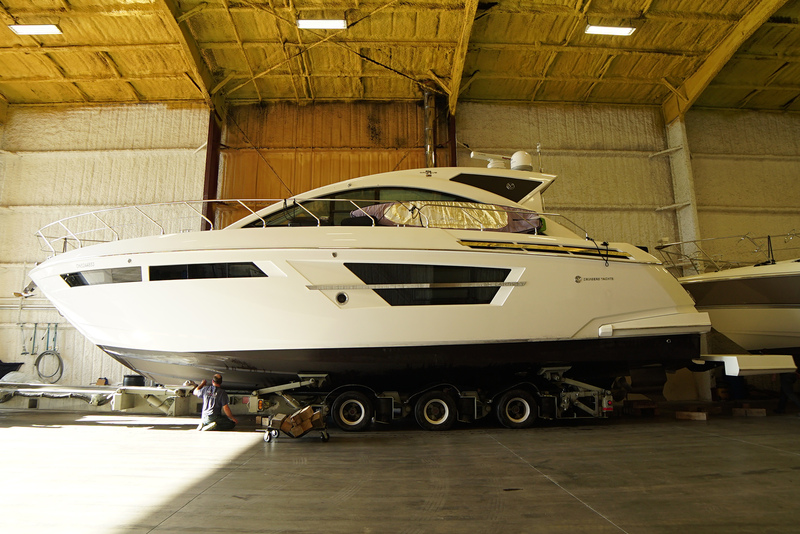 All new boats will be measured for proper measurements by our service team. Please feel free to call if you have any questions regarding this matter. If you decide to stay longer in the building after April 15th by choice, you will then begin our Summer Storage rate charge which is $1.00 sq/ft/month, no pro-ratio. What is the length or term of the contract? The Winter Storage contract runs from September 15th to April 15th. As you know, we are completely ruled by Mother Nature in the boating business! If we get a late start putting boats back in the water because of Ice or snow, there will be a grace period (at our discretion) and dates would then be adjusted. Once your boat is put in the water, if you are in the immediate area your boat will be taken to your dock. 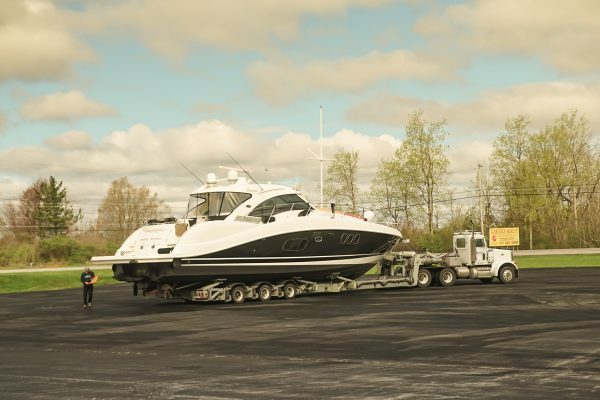 If your boat is taken to the TI Club for pick up, you have one week from the date it goes in the water to pick it up without incurring dockage charges.